The next time you’re in the mountains, pay attention to the rocks. You’ll probably notice areas near the base of the mountains where piles of crushed rock and rubble lay. These areas are called scree slopes and they’re caused by ice constantly cracking and weathering the rocks. What happens to all these tiny pieces of sediment, though? 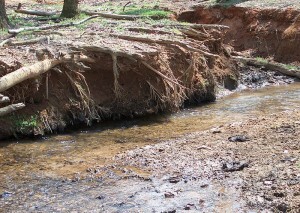 Rains wash the sediment into streams. Winds may blow them away. Sometimes, wind, water and sand can completely change the face of the landscape, creating caves, tunnels or pillars. This process of erosion constantly changes the landscape. Flash floods, rivers and streams can slowly erode rock, carving caves and crevices. The minerals in the water act like sandpaper on the rock, slowly scouring it away. 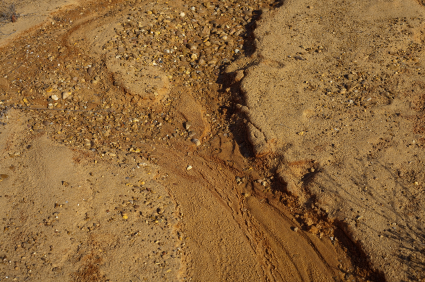 Small bits of rock wash into rivers. As they move downstream, they scrape and soften larger rocks. They also break down into smaller pieces known as silt. In the desert, high winds send tiny rock particles hurling through the air. These particles change and shape rocks in the landscape. Glaciers can rip away rock fragments as they move across the Earth. They can also carve valleys into the land. In the desert and along beaches, the wind may blow the sand into dunes, or hills. An animated kid’s show that explains what erosion is. Question: Do we ever cause erosion? Answer: Unfortunately, all the time. 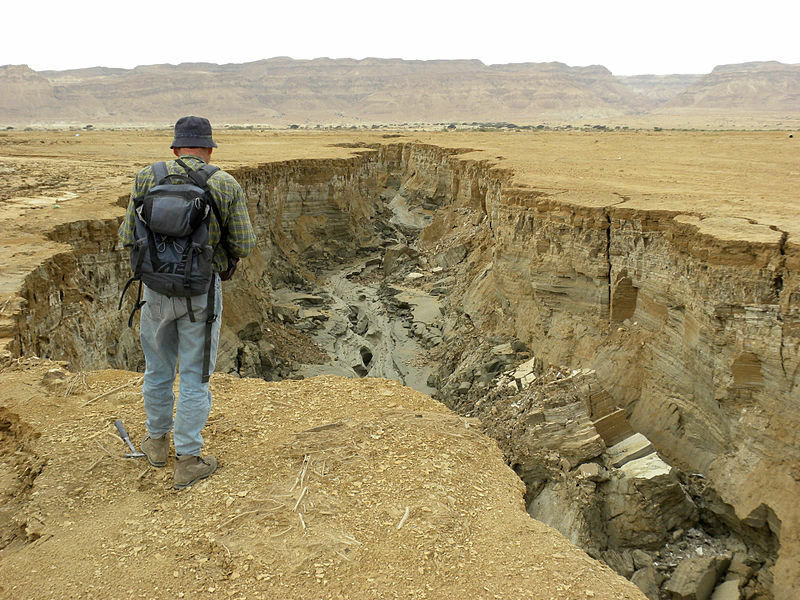 Any time humans disturb the Earth, we can potentially cause erosion. If we strip the land for farming or building, winds can blow the dirt away. In the 1930s, drought and poor farming practices caused the Dust Bowl, the worst environmental disaster in U.S. history. Enjoyed the Easy Geography for Kids all about Erosion info? Take the FREE & fun Erosion quiz and download FREE Erosion worksheet for kids. For lengthy info click here. Declan, Tobin. " Fun Erosion Facts for Kids ." Easy Science for Kids, Apr 2019. Web. 25 Apr 2019. 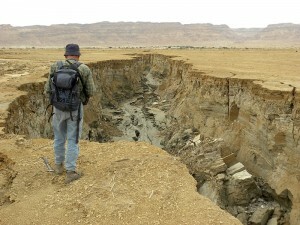 < https://easyscienceforkids.com/all-about-erosion/ >.